During 1980 the SAAF procured 2 batches of these 5012s, each of 400. This one is no. 51 of the first batch. As the 5012s had anodized aluminium bezels it is almost impossible to find them with the bezel in this condition today. According to the SAAF watchmaker, some of the remaining Lemanias were sold off to the SAAF personnel in the early '90s at a mere 35 South African Rand each (that will more or less buy you a McDonald’s happy meal plus an apple pie today). 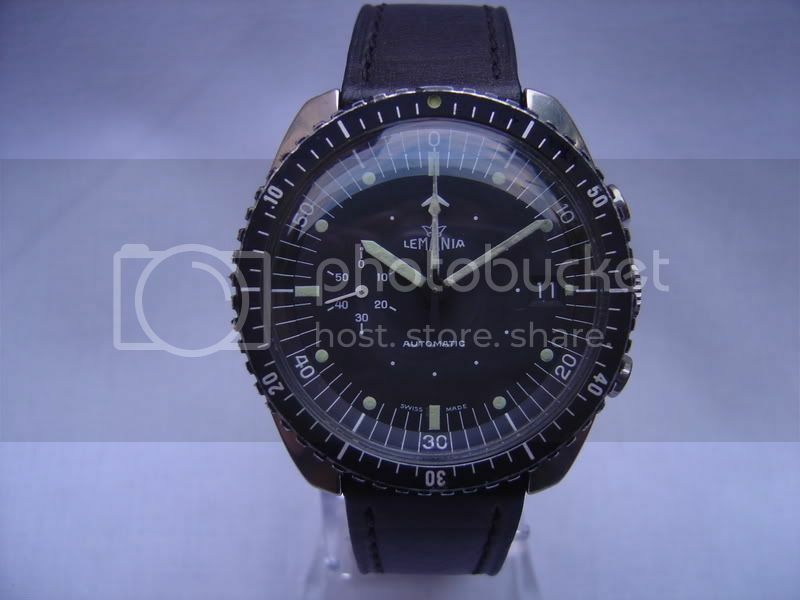 Many of these were returned to the stores and exchanged for the then “new” Seikos. When the SAAF realised this sadly they destroyed all remaining Lemanias still in storage as well as any returned by pilots later on. The 5012 is going on either a black or "Real Bond" Nato. Last edited by StampeSV4; 12-11-2009 at 16:07. The pushers and crown appear to be very flush...? Very cool.... this is the GMT version I turned down...Doh! Must admit that I was let into this secret a little while ago, and did a bit of digging around as soon as Jon' mentioned that he'd found this style of SAAF Lemania. I'm blown away, to be honest. I knew it was a good looking piece, but it's stunning. I think I can see where Sinn got their idea for their stripped down non-chrono version (EZM1?) but this is just lovely; details that particularly strike me are the dotted inner track and the perfectly understated sub-dial. Well done. I know you've been looking for a while. Can't wait to get a proper look at it! One of my regular Lemania searches came up with the advert for this very watch (and Jon's "you have e-mail" response) a while back, so I had cobbled together where it was going. . Congratulations (now that I can say it publicly). This one really is a good example by all accounts - and it certainly looks it. These are hen's teeth in any condition, so this one really is fairly described by the somewhat over-used phrase "rare". The hen's upper left canine. It is one of Lemania's best in-house designs, imho, with ultimate chrono-reading clarity from the second markers (without fraction seconds) on both the dial and the chapter ring, numeration for seconds (and minutes) only, and the single sub-dial for running indication only. You must be very pleased, and you've every right to be. I shall look forward to prizing it off you for a short while at the GTG - it'll be one of the stars of the show. I almost got one of those about 18 months ago, but missed it by a whisker. 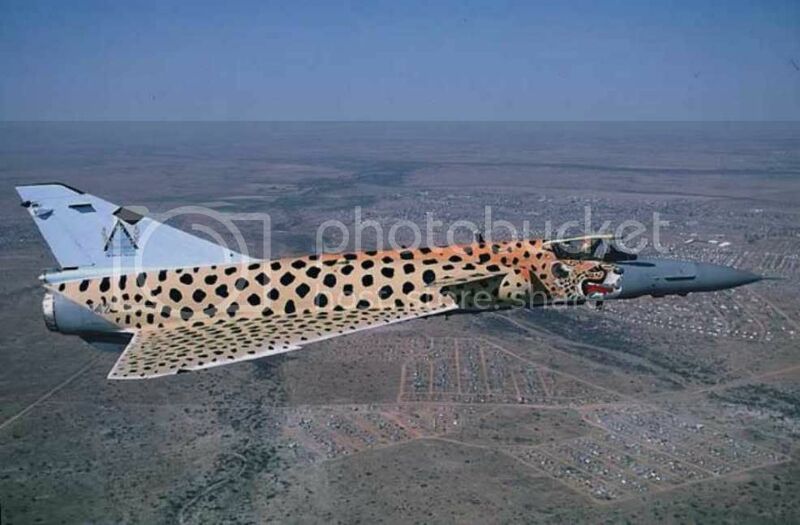 Although usually associated with the SAAF, a few also made their way into the RAAF. An example sold a year or two ago on MWR. As far as issued Australian watches go, this and the Certina DS-2 PH1000M for the RAN clearance divers would be rare birds to own. Can't wait to see more pics - that is just stunning. I saw your purchase too - was waiting to see when it surfaced. First off, it's more impressive than the pictures. It wears bigger, and it looks cleaner. Secondly, there's obviously something going on with the 5012 movement or the case, as it weighs a ton. It has real presence. Thirdly, it's a stunner. The inner track. The sub-dial constant seconds. Even the slightly wimpy seconds hand. They are all perfect. Really, really nice. 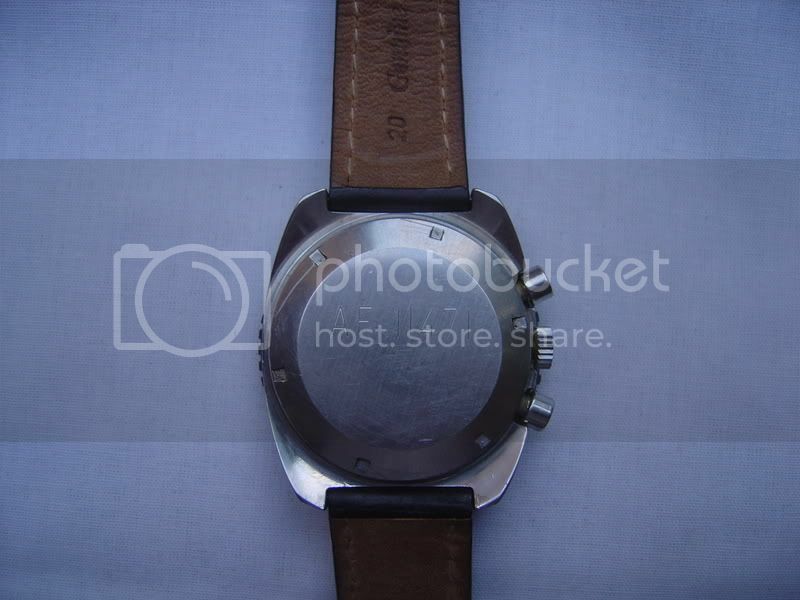 And the caseback engravings aren't bad either. In summary. I've no idea where he got it, or how he got it into the country. But it's a beauty. A real gem. Just needs a decent 20mm strap now... Al? Neil - While the movement might only be 31mm, the SAAF is a bit bigger . With bezel / case it's a 40mm watch, I'd say. If you do get your hands on it, go for a bit of mis-direction ("Jon', is that EP120 doing a flyby?") and then run fast.